The Pew study also found that competition does nothing to bring rates down. Those states with the highest rates also often had the highest number of payday loan storefronts. To get information about the study results, check out the Pew Charitable Trust’s Fact Sheet: How State Rate Limits Affect Payday Loan Prices. 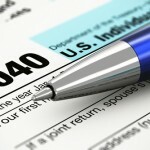 Preventing World War III: What Happens If Your Ex Gets a Tax Bill After You File for Bankruptcy? My domestic partner and I used to own a house together — we were both on the first mortgage and second mortgage home equity loan. We split up, and she transferred her share of the house to me in a settlement agreement. She remained on the mortgages because the lender would not take her name off and I couldn’t refinance in my name only because the home had no equity. Eventually, I filed personal bankruptcy and lost the home in foreclosure to the first mortgage holder. The second mortgage holder forgave the debt on the second mortgage and then issued an IRS 1099 to my ex-partner. The second mortgage holder would not issue a 1099 to me because it said I am protected by the bankruptcy. My ex is now trying to get me to pay her income taxes. She has contacted a lawyer who is trying to get the loan file from the lender. Can you think of some way to unwind all this craziness before it erupts into World War III with litigation and big lawyer fees? Many thanks and have a good evening. Most likely, you have no legal obligation to repay your ex for any income taxes she might owe. If that’s the case, she may be in violation of the bankruptcy’s discharge order if she comes after you. A simple reminder of that (from a lawyer) will hopefully stem World Word III. And your ex might not even owe income tax on the forgiven mortgage debt. If that’s the case, there would be no reason for her to even start World War III. As you and your ex are aware, the IRS treats forgiven mortgage debt as income. That’s why the mortgage lender issued the IRS 1099 to your ex. Another Way to Avoid Tax on Forgiven Mortgage Debt? But here’s the catch: That exception ended on December 31, 2013. If your second mortgage lender forgave the debt 2013 or before, and you used the money to improve your home, your ex is probably off the hook. If the debt was forgiven in 2014, it’s still possible (some say likely) that Congress will extend the mortgage forgiveness tax exception through 2017, and make the extension retroactive. It was legally correct for the lender to issue the 1099 to your ex instead of to you. That is because your bankruptcy got rid of your personal liability for the debt on the second mortgage, so there was no debt to forgive. It is actually refreshing that hear that the lender is following the law (for a change). Do You Have to Reimburse Your Ex for Any Extra Taxes She Has to Pay? But even though you don’t owe taxes to the IRS, must you reimburse your ex for any taxes she has to pay to the IRS? It’s likely your domestic settlement agreement says yes, but, as we discuss below, your obligation to her was probably discharged in your bankruptcy. Your domestic settlement agreement. A domestic settlement agreement will usually operate just like a marital settlement agreement. It divides up all of your joint assets, and assigns responsibility between each of you for payment of joint debts. Because you kept the house, the agreement probably required you to pay the mortgages and hold your ex harmless from the mortgages and any other debts assigned to you. But any obligation to reimburse your ex was probably discharge in the bankruptcy. Here’s why. You should have listed your ex as a creditor in your bankruptcy because she was the co-obligor on your mortgage debts. If listed, your liability to her may have been discharged in the bankruptcy (assuming the debt was dischargeable, see below). Dischargeable debts in Chapter 7 are generally anything except most kind of taxes, student loans, family support, and debts arising from intentional misconduct. A no asset case means the court never set a deadline for creditors to file claims because there was no money to be distributed. Most Chapter 7 bankruptcies are “no asset” cases, and it is a fair assumption that yours was, too. Was the Debt Arising From Your Domestic Settlement Agreement Dischargeable? Normally, obligations arising from a divorce or separation agreement are not dischargeable in bankruptcy. (See the list of debts that are not wiped out in Chapter 7.) But, this is only if the agreement was made with a spouse, a former spouse, or child. But since you called your ex your “partner” I assume you were not married. If so, that is a good thing for you in this case. You can discharge your obligations under the domestic settlement agreement because you did not make the agreement with a spouse or former spouse. the claim was listed in your bankruptcy, or if not listed, your bankruptcy was a “no asset” case. If your ex lawyers up and comes after you to pay her tax debt, she may be held in contempt of the bankruptcy court’s discharge order. 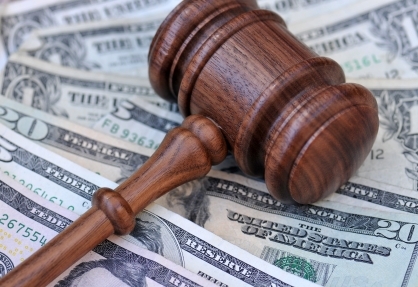 A creditor cannot pursue collection of a debt that has been discharged in bankruptcy. A well written “lawyer letter” defending your position should be enough to make the other side back down. See if your former bankruptcy lawyer can help you with that, or find one right away who can do that for you. Should you file your tax return if you are considering bankruptcy? If you owe taxes this year, can you get rid of the debt in bankruptcy? Will you get to keep your tax refund if you file for Chapter 7 bankruptcy? Here are answers to some common questions about tax filing time and bankruptcy. Should I File a Tax Return If I am Thinking About Bankruptcy? Yep. When you file for Chapter 7 or Chapter 13 bankruptcy, you are supposed to provide the bankruptcy trustee with copies of your tax returns for the previous two years. If you don’t have a good reason for not filing those returns, the trustee will likely require that you file them before your bankruptcy gets under way. (To learn more, see Nolo’s article Gathering Your Documents for Bankruptcy.) So you might as well do it now. If you have a good reason why you can’t file your tax return this year, talk to a bankruptcy attorney. If you file for Chapter 13 bankruptcy, the trustee will probably require that you provide him or her with your tax return for each year that you remain in the bankruptcy case. If I Owe Taxes This Year and Can’t Pay Them, Can I Wipe Them Out in Chapter 7 Bankruptcy? What Happens to My Tax Debts in Chapter 13 Bankruptcy? If I Get a Tax Refund This Year, Will I Lose It if I File for Chapter 7 Bankruptcy? 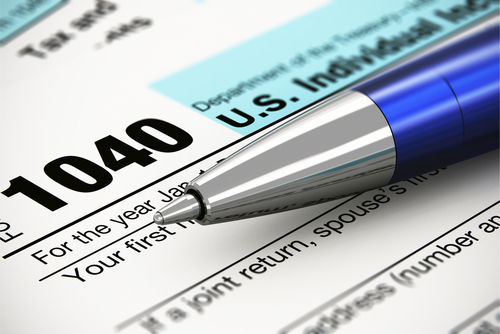 If your concern is not tax debt, but your tax refund, then a little planning is in order. Here’s why. 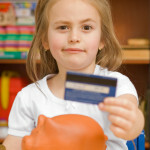 Can a Credit Card Debt Be Reported on a Child’s Credit Report? I got a Chapter 7 discharge about a year ago. Long before filing bankruptcy I got an extra credit card for my daughter to use. At that time the bank assured me that I would be the only person liable for charges on the card. My daughter just got her credit report and the credit card account appears as a charge off. How did the company get her social security number? And didn’t it violate the agreement it made with me? My daughter is now 17 years old, and I’m sick over the thought that I ruined her credit. I suggest that your daughter dispute the debt on her credit report. It’s not hard to do. You can learn how in Nolo’s article How to Dispute Errors on Your Credit Report. I think this credit dispute will be quickly resolved in her favor. If it is, that annoying item will disappear from her credit report. Here is a little background on each of these arguments. The credit card company told you that you would be the only one liable for the charges, so the account never belonged to your daughter. Your daughter should state these facts in her dispute. What If the Agreement Did Hold Your Daughter Liable? But what if the credit card agreement did hold your daughter liable? It’s likely you no longer have documents proving the contrary. And credit card companies do issue extra cards to authorized users and hold the user liable. In this case, because the bank has her social security number, is it possible the agreement said she would be liable? Even if the credit card agreement did hold your daughter liable for the credit card debt, she can void the contract before she turns 18. At that point, since there is no contract in place, your daughter does not owe the credit card company anything, and she can dispute the entry on her credit report. And if you want to try something new, consider this. Last July, the new Children’s Online Privacy Protection Act Rule (COPPA Rule) took effect in California. If you use the above tactics and still cannot get the item removed, you could hit the credit card company with a demand to remove the item on the ground that it is violating COPPA by publishing information pertaining to the identity of a minor. It might be a stretch to say that a credit report (which has a limited viewing audience) is “publishing” information about a minor and therefore violating COPPA, but it doesn’t hurt to make the argument. Rather than test new legal waters, perhaps the credit card company (or the credit reporting agency) will back down and remove the item. I plan on filing for bankruptcy soon. I have a few payday loans that I have been rolling over and paying interest on. The payday loan people said if I try to stop payment on my check to them, it is the same as writing a bad check and they will have the district attorney press charges against me. If I don’t pay them am I going to be in serious trouble? They also said I can’t discharge a payday loan in bankruptcy. I am so worried that I can’t sleep. Your failure to pay the payday loan “people” (I use that term loosely), will not get you in trouble. I am assuming that your bankruptcy case will be filed very soon. Here’s how a payday loan works. You give the payday loan company a post-dated check (the payday loan company actually creates an electronic check for you with a specific check number, just as if it were a paper check.) In return it gives you cash in an amount less than the face value of the check. The payday loan company holds the check for a few weeks (often until your payday). At this time, you must pay the company the face value of the check, usually by allowing it to cash the check. If you can’t make good on the check, the lender requires you to pay another fee. Putting a stop payment order on a post-dated check you gave to a payday loan company is not the same as writing a bad check. A “bad check” is a check that you knew was not good at the time you wrote it, but the payee did not. In contrast, when you give a post-dated check to a payday loan company as security for a payday loan, both you and the company know the check was not good on the day you gave it. Here’s an example. I give a bad check at the grocery store and walk out with a bag of groceries. I might face prosecution for writing a bad check if it can be shown that I knew I had no money in the account when I wrote the check. A payday loan is different. The company knew you had no money to back up your check on the date you borrowed the money. So long as you had the honest belief at the time you borrowed the money that you would repay it when due, there has been no wrongdoing. In fact, the payday loan people consented to your delay in payment by letting you pay extra interest to roll over the loans. Doctors have recently proven that sleep is good for you. Get some. The payday folks have lied to scare you. They are the ones who should be losing sleep. In your case I don’t think they will ever get paid. In my 34 years of bankruptcy law experience, I have never seen a payday lender so much as try to challenge anyone’s bankruptcy. The other day I listened in on a Making Home Affordable training webinar entitled The Impact of Mortgage Assistance on Credit. The training was particularly noteworthy because of its presenter: Joanne Gaskin, Senior Director of Scores and Analytics at FICO. Yes, Joanne did a great job presenting the material. But even more exciting — she was willing to answer listener questions about FICO scores. It was clear that the audience was salivating — I mean, when do you get to ask FICO what goes on in their score-making world! The statistics were simulated because they weren’t based on actual consumers, but were FICO’s approximation of what would happen to the average consumer going through the various events. The chart presented the impacts for consumers starting with different scores. Bankruptcy had a slightly worse impact on scores than any of the other events. Foreclosure was second to last in terms of the biggest negative impact. Short-sellers did slightly better — those without a deficiency faring better than those without. But there wasn’t a huge difference between all of these events. Surprisingly, having a 30-day, 60-day, or 90-day late payment had a big negative impact on a score. Granted, it was not as large as going through foreclosure, but scores dropped significantly all the same. For example, a consumer with a starting score of 680 dropped to 600 with one 90-day late payment. Foreclosure for the same consumer dropped the score to 575. That means that the late payment caused an 80-point drop; from there it was just a 25-point drop once the foreclosure happened. According to Ms. Gaskin, loan modifications are currently reported as CN and CO on credit reports. For now, the FICO score bypasses these codes, which means they are viewed neither positively or negatively. However, FICO will consider whether you were paying as agreed prior to and post modification. If a lender reports a loan modification as “paying under a partial payment agreement,” this will be a negative for your FICO score. Those with higher scores lost more points in each of the various events. For example, a consumer with a starting score of 820 had a 100 point drop with just one 30-day late payment. A consumer with a score of 680 dropped only 80 points with a 30-day late payment. If the same consumers filed for bankruptcy, the first (starting score of 820), dropped about 270 points to end up with a score of 550. The second (starting score of 680) dropped only about 150 points, to end with a score of 530. Keep in mind that these simulated numbers were just that, simulated. Each person’s situation is different. Your score may drop more or less than the average consumer based on your prior credit history and how the delinquency or negative event is reported. To learn more about the individual factors that influence your FICO score after a negative event, see Nolo’s article Which Is Worse for Your FICO Score: Bankruptcy, Foreclosure, Short-Sale, or Loan Modification? 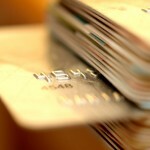 For tips on rebuilding your credit, visit our Credit Repair topic area. I’ve got trouble. I just got sued by a credit card company for around $9,000. I have one other delinquent credit card debt for about $15,000. I make around $32,000 per year. It takes all my money just to live. Those are my debt issues, but here’s the real trouble. I have leukemia again, after being in remission for almost five years. I live in California. I will be starting chemotherapy soon. I am physically reaching the point where I have to go on disability. My life savings is about $7,000 in an IRA account. That’s all I’ve got, plus really excellent health coverage from my job. I would like to settle with my two creditors, provided they remove anything derogatory from my credit report. I can get a letter from my doctor to show the creditors if that will help me get settlements. I understand that if I make settlements, I might owe some extra income taxes? So, what in the world do I do? Any insights from you would be a huge help to me right now. Thank you for reading our bankruptcy blog. I understand what a pernicious disease you have. I hope you will knock it down and get back into remission. You have asked if I can explain your legal options. I know you don’t expect a perfect answer to such tough questions, but I’ll do my best to help. Debt settlement is certainly an option for you. Bankruptcy is another option. Let’s analyze them both. Based on what you mention, bankruptcy is probably an option. You have just a couple of old debts that should be dischargeable, you have no assets to lose, (your IRA account will be protected) and you already live pay check to pay check. You sound like a perfect candidate for Chapter 7 bankruptcy. My only hesitancy over bankruptcy is that you might be stuck with large future medical debts if you lose your insurance. Also, the best of medical plans could leave a person owing a lot of money under some circumstances. Hopefully that won’t happen to you. However, a lawyer should be able to point out all possible outcomes that are reasonably foreseeable. Now, let’s analyze debt settlement. My law partner Jeffrey Wishman is an absolute wizard at settling debts. He feels that given your financial and medical circumstances, settlements as low as 25% of the total owed may be possible, especially if your doctor provides a diagnosis letter with a grim prognosis. Sharing a letter like that with your creditors can be extremely helpful during the negotiation process. 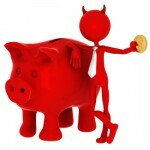 If successful, debt settlement will free you from your present debt worries. However, even a 25% debt settlement is going to use up all the money that you have. I really don’t want you losing all your savings to pay for debt settlements, especially since you have no present ability to replace your savings. Also, you will soon be on disability which may provide less income than your normal salary. Let’s examine the possibility of you owing income taxes on the amount of debt that gets forgiven. Forgiven debt is counted as income, and normally you would owe incomes taxes on that money, just the same if it had been earned in that amount at your job. Fortunately, there is an exception to that rule, and the exception is in your favor. An individual will not owe any income tax on the forgiven portion of debt, provided that you were financially insolvent. Insolvency is measured by the value of all your assets and comparing that to the total of your debts. If you owe more money than the value of all your assets, you are insolvent. Based on what you said in your question, you are insolvent unless you own something of value that you haven’t mentioned. I am assuming that all of your personal property such as clothing, furniture, appliances and personal effects have no real value. You do have $7,000 in your IRA, but that is less than the total of all your debts. Hence, you are probably insolvent. 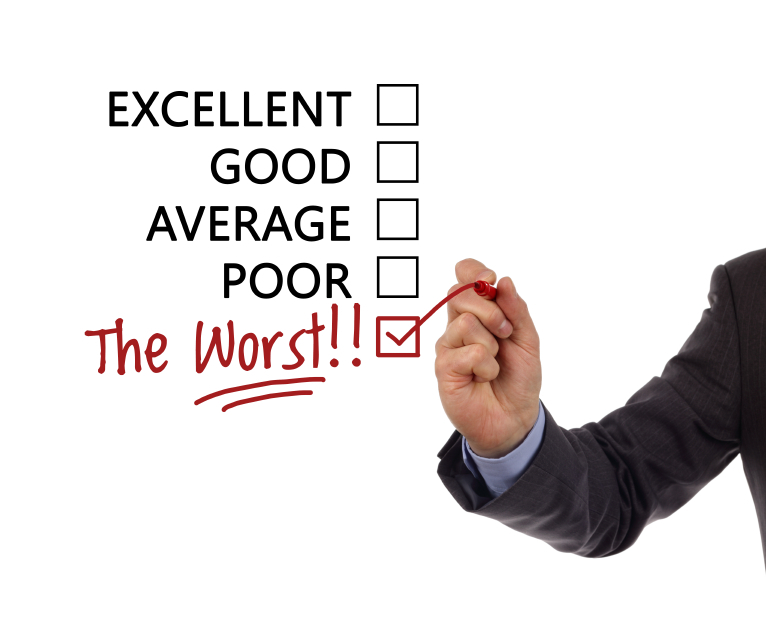 Can You Get Derogatory Information Removed From Your Credit Report? Now let’s examine your request that any settlement include a deletion of negative information from your credit reports. That will not happen. Here’s why that is. Credit reporting is a big business. 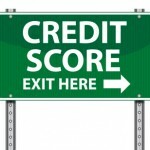 Credit bureaus sell your credit report to financial institutions. Those banks and other institutions rely on the accuracy of the reports in making decisions to extend credit to you. You can’t manipulate your report by deleting true but derogatory information. To learn more, see our articles on Credit Repair. Now, for the BIG question: What should you do? My advice – do nothing right now. Absolutely nothing. Here is my thinking. If you file for bankruptcy now, you might have more debt from medical bills later. And if you settle your debts, you won’t have any money left. Both your disability income and your IRA can’t be touched by creditors. In the meantime, the creditors can all have fun going to court, but you don’t have anything they can take from you. When you are out of the woods and back to work, it will probably be the right time for you to file bankruptcy. I hope you are well soon. Consult bankruptcy lawyers whenever questions arise. Changes to California bankruptcy exemption laws, effective January 1, 2013, have increased some of the exemption amounts available to people filing for bankruptcy in California. Most people who file for Chapter 7 bankruptcy in California are able to discharge most or all of their debts. In return, they must turn over certain property to the bankruptcy trustee, which the trustee will use to repay creditors. However, California law allows you to protect certain types of property in bankruptcy — meaning you don’t have to give the property to the bankruptcy trustee. These laws are called exemptions. 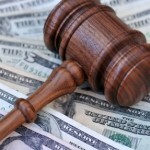 Exemptions play a role in Chapter 13 bankruptcy as well. To learn more about how exemptions work in bankruptcy and the exemption amounts in each of the 50 states, visit Nolo’s Bankruptcy Exemptions topic area. you can now exempt personal injury recoveries for pain, suffering, and actual pecuniary loss (before these types of damages were excluded from the personal injury recovery exemption) and the total exemption amount increased to $24, 060. To learn more about the California bankruptcy exemptions, as well as a list of other common exemption amounts, see Nolo’s article California Bankruptcy Exemptions.